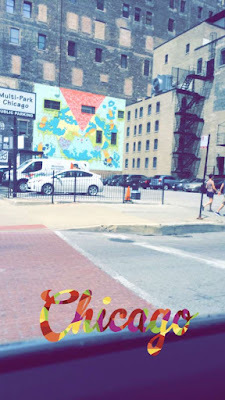 Last weekend for the Fourth of July, I went on a trip to Chicago. It was a last minute, spontaneous trip, but hey, I wasn't complaining. 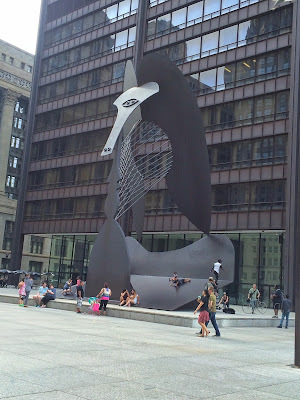 I have been to Chicago numerous times before, so often that a lot of the places seem so familiar, the streets, the store locations, the museums, it felt like I had already done most of the attractions. Because of that, I didn't take a lot of pictures and stuck to a lot of iPhone photography and Snapchatting. I don't use my Snapchat everyday (although I would like to) because I feel like my life isn't really interesting enough to Snapchat the whole day. However, when traveling, it's a whole different story. I've decided to create something new on the blog. Snapchat diaries aren't strictly limited to what I put on Snapchat, but the concept is the same. It's a way for me to share what happened/is happening in my life, in a casual way. It's my way of recapping an event or a trip or whatever exciting thing that happened. 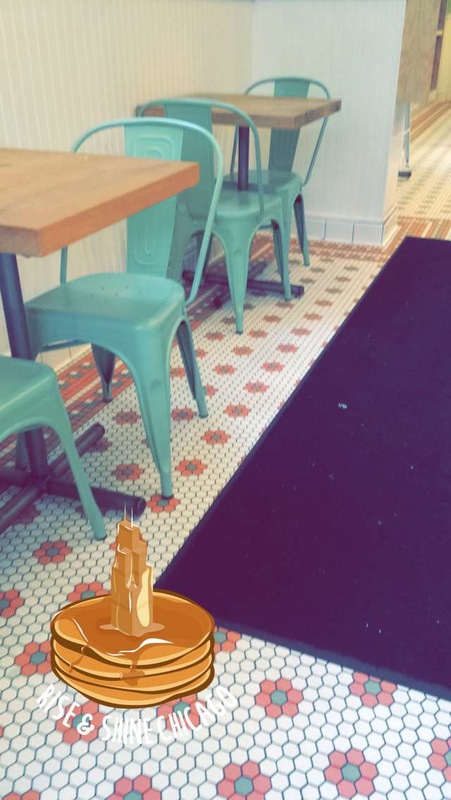 Snapchat diaries are kind of like travel diaries, but a bit more casual. I go more in-depth about the snaps that I posted and it's a great way for you to catch up if you haven't been so active on Snapchat! 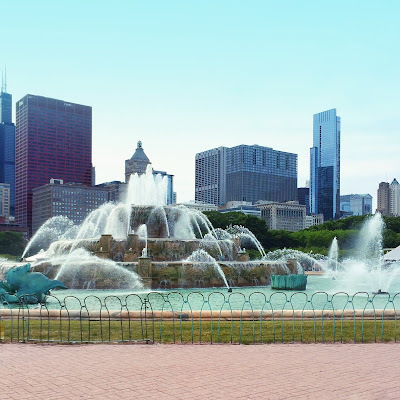 Seeing as I've already seen a lot of the sights on previous visits to Chicago, the places that I'm mentioning are definitely a less popular than the normal tourist attractions. These spots would be nice places for you to visit if you're not a first time visitor. This neoclassic building was designed to impress and show off Chicago's sophistication. I've heard of "dress to impress," but this is definitely the first time that I've heard of "design to impress!" Top architects worked to make this building beautiful and they did not fail. 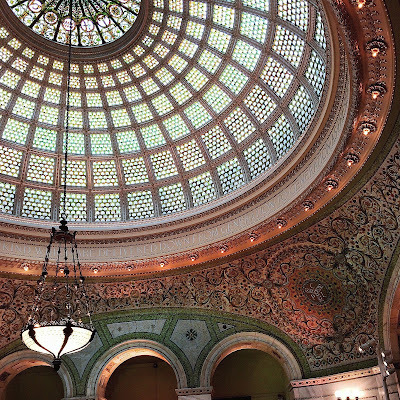 The Cultural Center is home to the world's largest Tiffany dome, a stained-glass dome. In addition to the beautiful building, they also have some nice free art exhibits. While we were there, they were setting up for a wedding underneath the Tiffany dome, (what a great wedding venue! ), so we looked around and then browsed the exhibits. The main exhibit was closed, since by the time we arrived it was about 4:45-5:00, but we visited the exhibits that were open. Personally, I wasn't a fan, but the exhibits change pretty often. 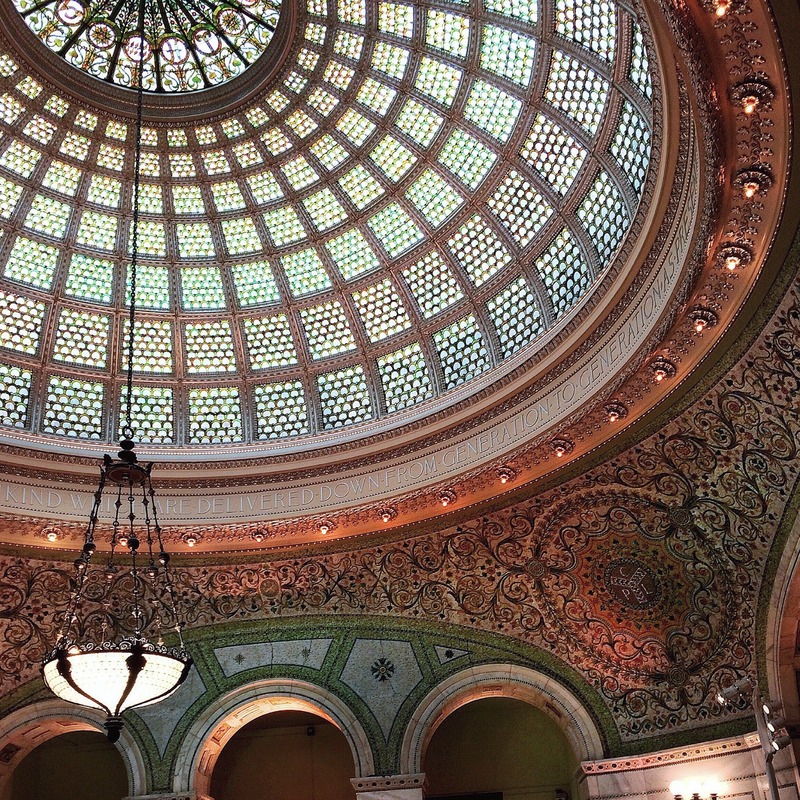 The Tiffany Dome in the Chicago Cultural Center! 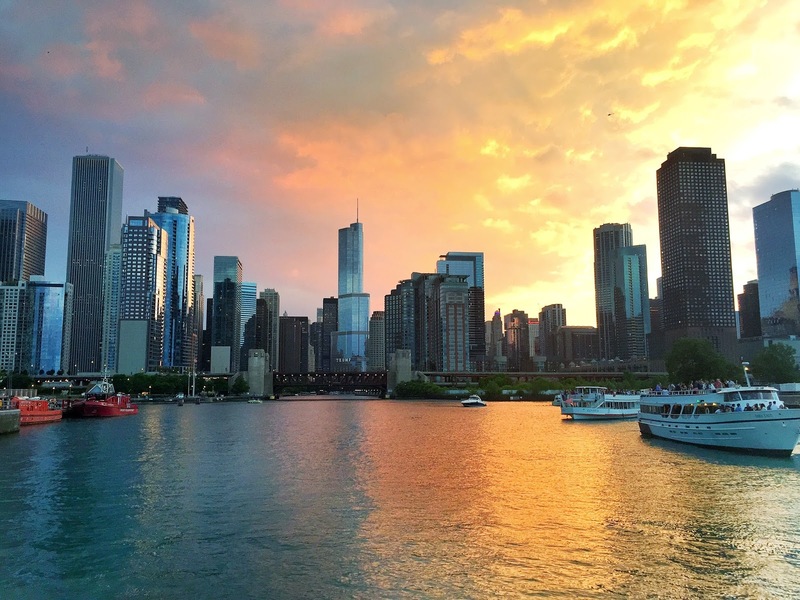 In Chicago, there's a lot to simply explore. We walked around the park and by the water just to relax and take in the atmosphere. We walked through Grant Park, saw the Buckingham fountain, hung out at Queen's Landing, and saw the Petrillo Music Shell. At the time, they were preparing for Taste of Chicago, which I'm SO disappointed that I couldn't stay around to see. I just might have to make a visit to it in the future, my inner-foodie is excited simply at the thought of it. Cooking demonstrations, food, musical performances, it sounds like so much fun! I'm definitely bookmarking it for a future visit! During the Fourth of July weekend, the Chicago Botanical Gardens was hosting an art festival! I love art festivals, it's a great way to spend your time, and since most of them are free, you can browse freely. It's kind of like visiting an art museum or a gallery, you can check out all the art, even if you don't plan on buying anything. However, my family has been looking for some new art pieces to put up in the house, so we were out on the prowl for potential art pieces. Art festivals pretty much always feature local artists, so it's also a great way to show some love out there to them. 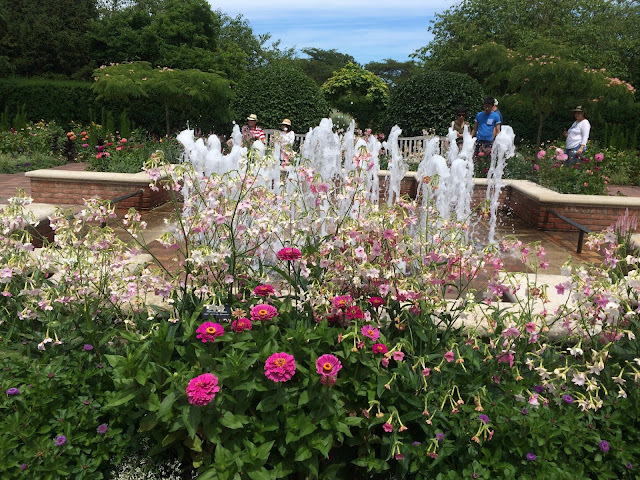 In addition, since it was at the Chicago Botanical Gardens, we got to spend some time checking out the flowers and the landscaping. It was like a two-for-one deal, the art festival and the gardens! What I found particularly nice about the botanical gardens was that there were lots of bodies of water. The water with the flowers and landscaping made it a lot more beautiful. When in Chicago, the Magnificent Mile is what it is, magnificent. What I love about bigger cities is that there are a lot more specialty shops that you wouldn't find just anywhere, such as the M&M store, Dylan's Candy Bar, Garrett's Popcorn, and more. In addition, since it was the Fourth of July weekend, there were lots of sales to take advantage of. I ended up not buying anything (I have mixed feelings about this, I saved money, but didn't end up with any cute purchases), despite the sales. Zara was having a great sale, which ended up in literal chaos in the store, but I couldn't find things in my size, which was a bit of a disappointment. However, I was still able to browse other favorite stores, such as Anthropologie, Bloomingdale's Home, Crate and Barrel, Nordstrom Rack, and more. 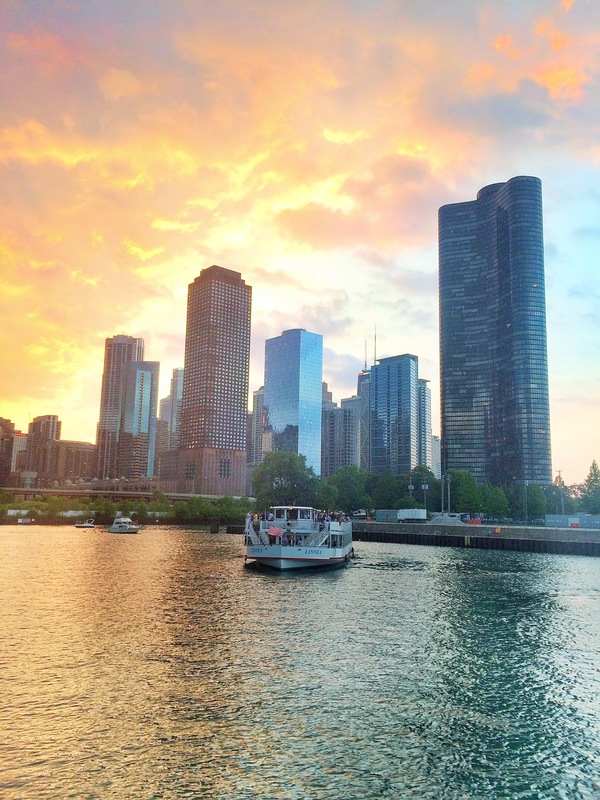 Okay, I know that I said that I wasn't going over touristy stuff, but for some strange reason, after all of my many trips to Chicago, I have never been on the boat tours. The boat tours go throughout the river so that you can see the city, some of them have tour commentaries and some of them don't. 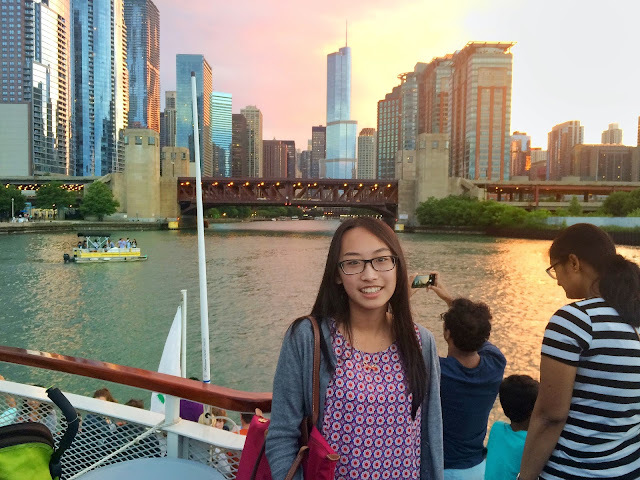 The one that we went on was an architectural boat tour with Wendella Boats. Our tour went through the river and then through the Chicago locks to the lake. The tour commentary included a bit about some of the architecture of the buildings as well as some of the history of Chicago. It made the trip more interesting, since I'm actually very interested in these kinds of things. I had never been through the locks before, and if you don't know what they are in terms of water transport, what they do is they raise and lower ships and boats. Often different bodies of water, such as rivers and lakes, have different water levels. The locks close in around the boat and then either raise or lower the water, depending on which direction the boat is going in. That was definitely interesting for me, since it was the first time that I had experienced something like that. We went for a 6:00 boat tour, which ended up being delayed until 6:30. Because of the wait time at the locks, we ended up being out on the water from 6:30 to 8:30. That meant that we got some time on the water with the sunlight and some with the sunset. One spot in particular that my family LOVED, Eataly. Eataly is like an Italian marketplace, they have restaurants, coffee bars, bakeries, specialty groceries, ice cream, cafes, and more. There are other locations of Eataly in New York, many in Japan, Dubai, and more. They had some books on Italian cooking, a Nutella bar (with crepes! ), a gelato bar, all kinds of things! They even had groceries, which weren't you typical groceries, they were the specialty products, ones that you wouldn't be able to find in grocery stores. We ended up buying a lot more than we expected. We stocked up on some lesser known pastas, pappardelle and bucatini, as well as some pasta sauces. The things there are definitely on the pricier side, but specialty groceries always are. I'm excited to try out the things that we purchased! Never before had I realized how much excitement I had for Italian food. This honestly had to have been one of the highlights of the trip, it was definitely a new experience for my inner-foodie. Usually, my family always forgets to make reservations at restaurants, and since the city is so packed, there are always waits for all the restaurants, leaving me to not have a chance to go to the trendy restaurants that everyone is talking about. However, this time I did my research and made reservations ahead of time. As a foodie, I take eating very seriously. I discovered this restaurant on a multitude of food blogs and travel sites, saying that this restaurant was THE place for incredible Chicago style pizza. If you don't know what Chicago style pizza is, it's basically deep dish, with a thick crust. Unfortunately, like most of the Chicago pizza places, Lou Malnati's does not take reservations. We figured that if we got there early then there wouldn't be a wait, that was wrong. We arrived at around 5:45pm and had to wait for an hour before being seated. Even at 3pm, (we walked by on a different day) we noted a line already forming. Talk about popularity! Lou Malnati's definitely had the most interesting pizza that I have tasted (and I've tried my fair share of pizzas, from New York pizza to authentic Italian). The crust was thick, which I expected, and resembled a pie crust. The edges were crisp and pastry-like. The pizza was definitely busy. I ordered the Malnati Chicago Classic, it had toppings that I like, and the famous buttercrust! It had so much cheese and sauce and sausage that it was definitely rich. There were a lot of flavors going on at once and I'm not sure how I felt about that. It was so filling that I was only able to eat one slice. Granted, I generally can't eat a lot, but I was surprised that I was so full! We also ordered the Malnati salad as an appetizer, and honestly, it was SO good. I'm not even much of a salad person, but the sweet vinagrette dressing tasted delicious. I'm not a fan of the sour dressings, and this sweet dressing was perfect! Overall, I'd give it about 3.5 stars, (I'm a tough judge). I really enjoyed the salad and I have to admit that the pizza is creative, but I'm a thin crust kind of person to begin with and it was a little too rich for my liking. I discovered that there is a plethora of specialty donut stops in Chicago. So of course, I had to check it out. I originally wanted to try out the Doughnut Vault, but it was too far from the hotel, so we decided to opt for Stan's Donuts, which was only a few blocks away from where we were staying. First impressions, I LOVED the decor in the shop. It definitely had a retro theme going on. At the entrance, there was a wall of kitchen aid mixers, all in various colors, mainly pastels. I thought that it was such a cute way to decorate, it added color and was so creative! 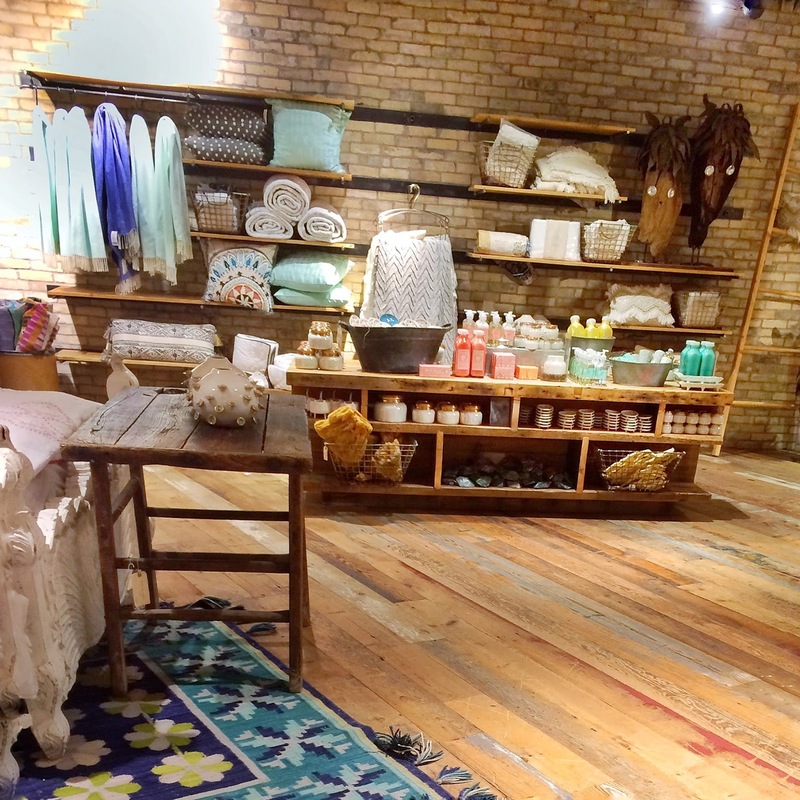 Inside the store, they went for a mint green and pastel pink theme, two colors that I adore. We walked in and grabbed some donuts, I got the nutella pocket donut, which was basically a chocolatey donut filled with nutella. It was definitely a bit more pricey than Dunkin Donuts, the standards are $1.85 each, the specialties are $2.60 each, and the "dough boy's best" (the signature donuts) are $3.60 each. (Here's the menu if you're interested in the types of donuts they have and more about pricing.) While it was a little pricey, I think that it was fun to try out some fancy donuts. 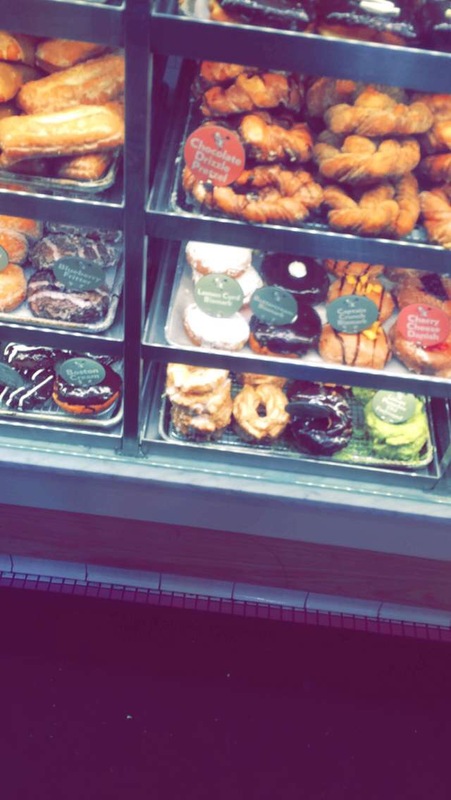 After eating that donut, I've been craving donuts ever since and I never crave donuts. If that doesn't say anything, then I don't know what does! I honestly don't have much to say about Roti, not because it was bad, but more because it wasn't necessarily outstanding. Since the Chicago Botanical Gardens are slightly out of the city, we stopped by Roti on the way back. The concept is a lot like Subway or Chipotle, you pick what you want and then they add it for you as they go down the assembly line. I ordered a chicken kabob on pita bread. I think one of the benefits of Roti is that the meat they use is better quality, there's grass-fed beef and antibiotic-free chicken. In addition, the pita bread is gluten-free and they use organic and/or GMO-free ingredients. If these are the kinds of things that concern you, then Roti has it covered. Definitely a bit more pricey if you're on a budget, but RPM Italian had delicious Italian food, including handmade pasta. If you believe that handmade pasta tastes the same as grocery store pasta, you're wrong. 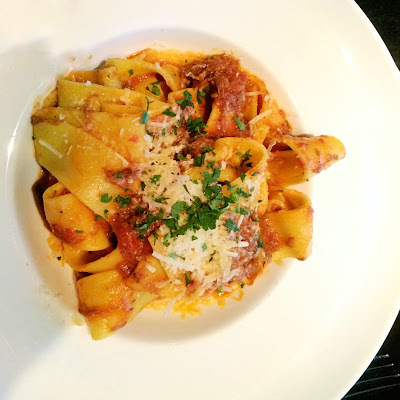 Handmade pasta always has a different texture and often has a different thickness as well that adds onto the flavor. RPM Italian doesn't seem too expensive at first glance, but if you're a heavy eater, it can rack up quickly. The portions are small, so they're meant for you to order a bit of everything, kind of like a multi-course meal, where you would eat your appetizer, then the pasta, then the meat, and then the dessert. We ate dinner very early, since it was the only reservation that we could get if we wanted to arrive punctually for the boat tour afterwards, so we didn't eat that much. Instead of ordering the meat, we all just ate pasta and ordered truffle garlic bread. I actually love truffles, which is strange considering that I don't like mushrooms and they're in the same family. Truffles add such a distinctive flavor and always taste good with rich or cheesy foods, in my opinion. Unfortunately, the garlic bread tasted more like plain garlic bread and I couldn't taste the truffle, which was a bit disappointing. However, it still tasted delicious, I love garlic bread anyways. I ordered the pappardelle bolognese as my main course, and as I mentioned before, the handmade pasta definitely added a unique flavor. In addition, instead of ground beef like normal bolognese, this dish had short rib ragu in it, so it wasn't your typical bolognese. Overall, I'd give RPM Italian about 4 stars. I hadn't had a chance to try out more there, so maybe this isn't that accurate, but I liked what I ate there and would possibly visit again. I previously mentioned Eataly in the shopping section for the fantastic selection of specialty Italian groceries. However, the food there was just as exciting. There was a nice selection of restaurants there, although we ended up not eating at the restaurants, but going for the gelato bar. I was torn between gelato and the Nutella crepes, but I went for hazelnut gelato. Since we didn't get dessert at RPM Italian, we decided to stop at Eataly for dessert and of course, the aforementioned groceries, after waiting a bit to digest. I can never eat dessert right after a meal, I always have to wait a bit first. Before the trip, I did a lot of research on the best restaurants in Chicago. As a foodie, I take food very seriously. Since it was only a weekend, I didn't get a chance to visit all the restaurants, but based on my extensive research, these sound like some great restaurants to look into for a future trip to Chicago. Little Goat: We originally made reservations here as a backup to whether or not we could get seats aat Lou Malnati's, since the only available time slot at Little Goat was 8:15pm, which was definitely a little late for dinner. However, I would still LOVE to eat there! Maybe for brunch, maybe for dinner, or maybe just for some baked goods, but it seems like such a cute place! This diner-style restaurant by Stephanie Izard is definitely going on my list of "to-try" spots for my next trip to Chicago. The Doughnut Vault: I mentioned before that I wanted to go the the Doughnut Vault but it was a little too out of the way, but I would still like to try it out sometime! I found lots of good reviews about it, plus the storefront looks adorable! Definitely bookmarking it for the future. Overall, I had a good time in Chicago. I had fun exploring some of the places that I have yet to see and doing some things that I haven't experienced before. Plus, I had a blast trying out lots of food and exploring the shops. I might do a future post about the attractions that I believe are the best, kind of like a guide to Chicago, so let me know if you would be interested in reading about that! I saw some familiar places! Your photography is soo good! I love the snapchat diaries! It's such a cute idea! Glad that you like the Snapchat diaries! They're definitely a little different, but so far, I'm liking them too! Looks like a fun trip! 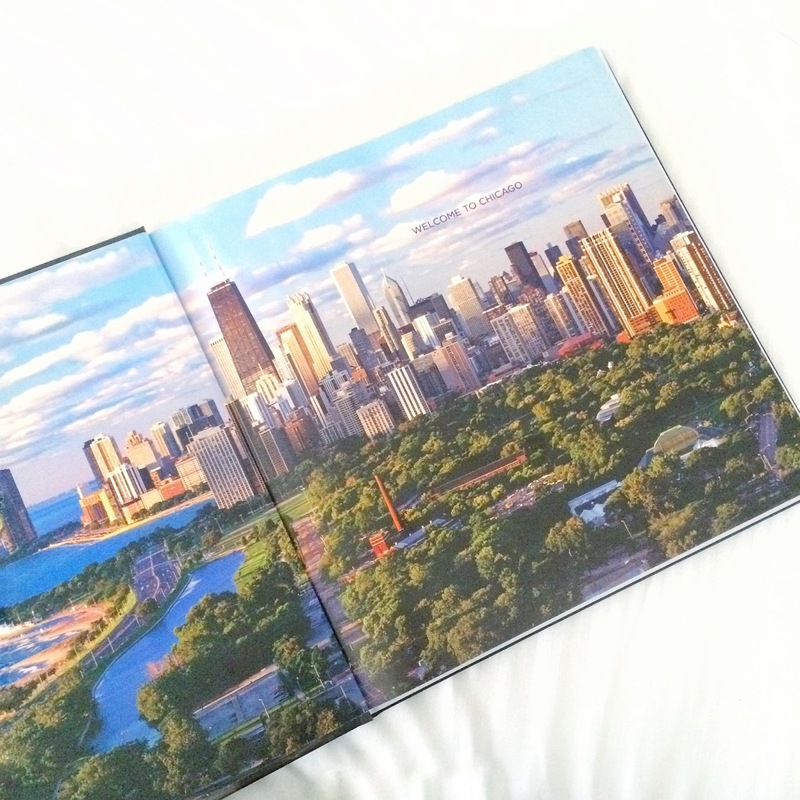 I've never been to Chicago but it sounds like a fun place to visit!